About one week ago, my friend Chiara introduced me to Max, a french crepe-twirling chef working out of the heart of San Blas. I don´t know what it was, but he had a way of doing things that I was just so attracted to. I ended up returning three times since to indulge in our french connection. Perhaps it was the creamy bechamal; maybe the fresh spinach; could have been the perfect amount of cheese added to my Popeye crepe. But I had fallen in love….and there was no turning back. 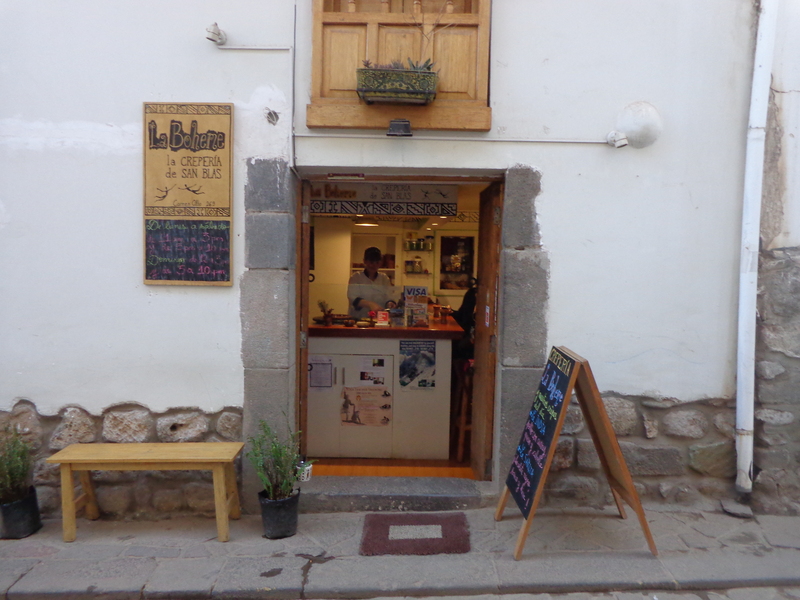 La Boheme is a creperia in the bohemian district of San Blas, Cusco. It was opened only six short months ago, yet has quite the Cusco following. Sara, the adorable head chef, straight from France, opened the single-room, nine-stooled restaurant, only a few months before tagging on La Boheme hostal. 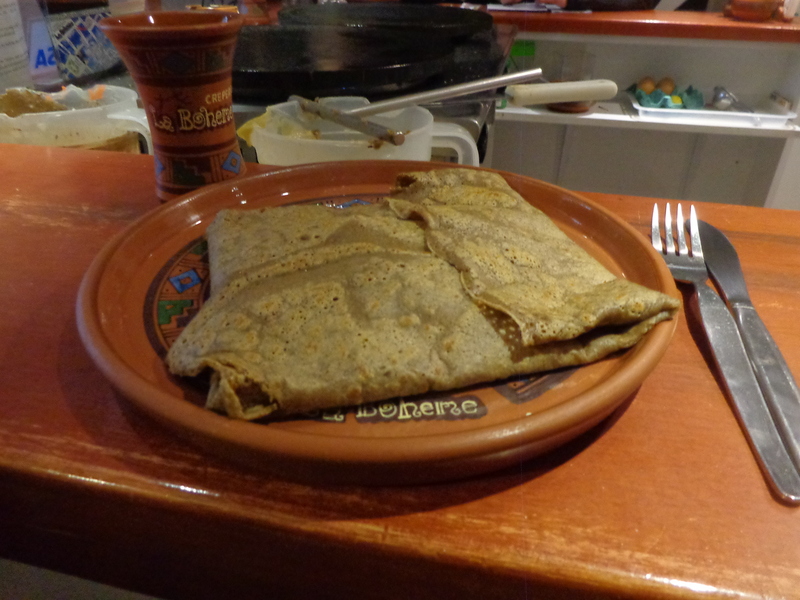 I would be lying if I told you I´ve enjoyed Peruvian cuisine as much as I´ve enjoyed the crepes served here. 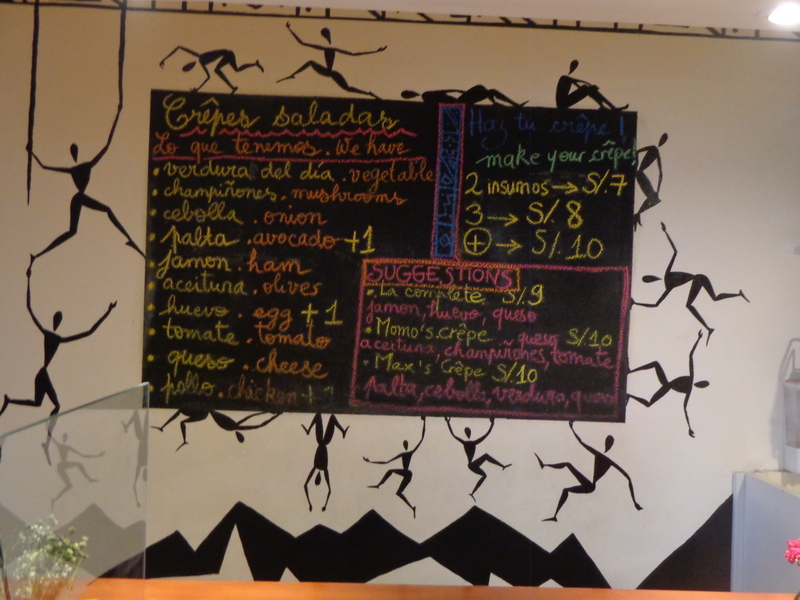 They have a few varying specials everyday, two staples (Max´s Crepe & Momo´s Crepe), a long list of sweet specialties, and the option to build-your-own invention. And, the crepe recipe is made from a quinoa-based flour, therefore todavia paying homage to traditional Peruvian cuisine. 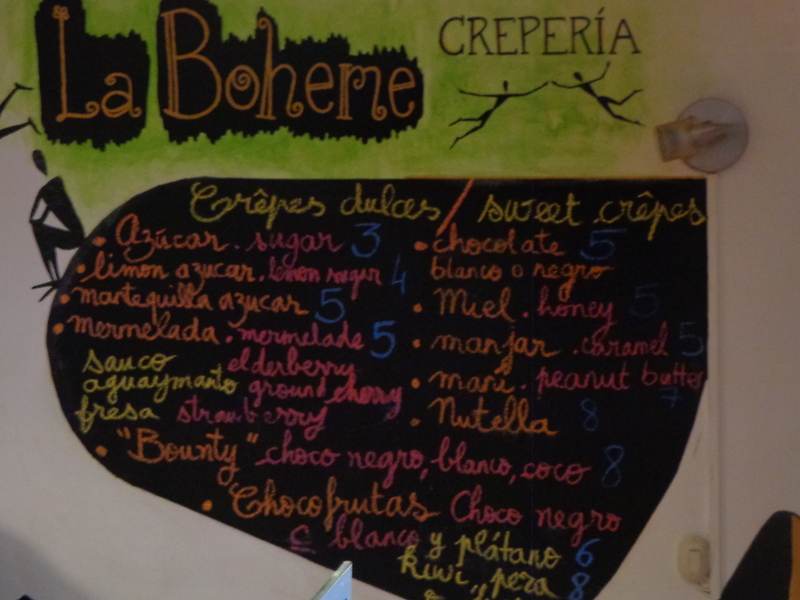 I quote Eracri from TripAdvisor who very accurately describes my sentiments towards the nutella, manjar, strawberry crepe as a ¨masterpiece¨ that ¨brings tears to my eyes.¨ So when you´re in Cusco, of course try out the Peruvian cuisine, but defineitily check out Creperia La Boheme at Carmen Alto 269 up in San Blas. It´s worth cheating on the traditional spanish to indulge in this french affair. 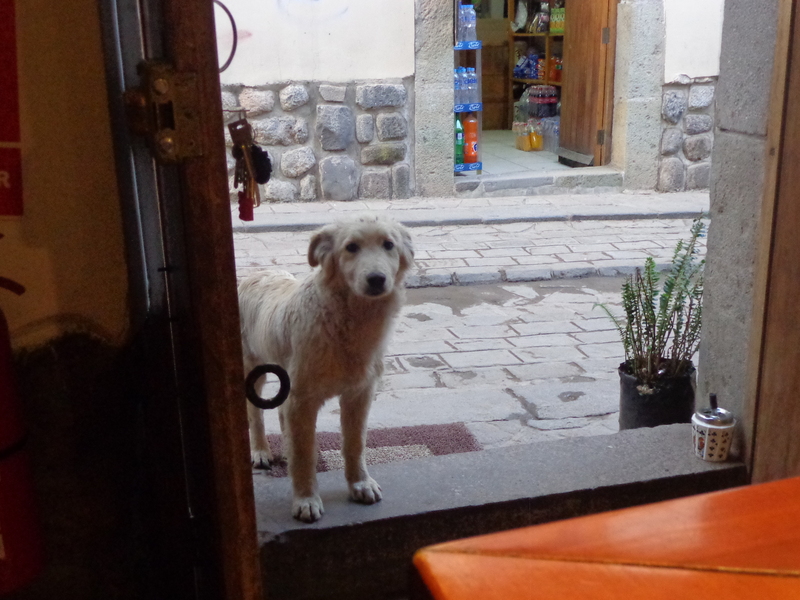 Even Cusco´s perritos can´t resist the allure!